I wish this wasn't real. 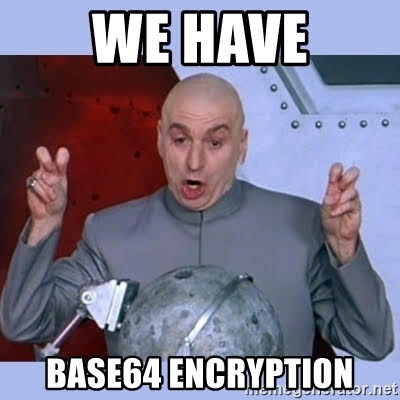 I wish I could say that people who think that base64 encoding is the same as encryption were an urban legend, but the fact is I've seen people like that with my own eyes. Just to be clear, if you try to protect data using base64 encoding, you're going to get pwned.